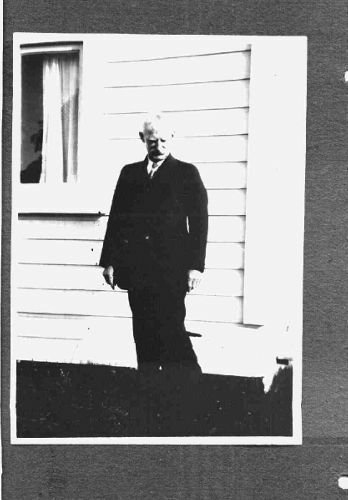 Emigrated to New Zealand with his parents in 1860s. In 1887, George sold a 4 bedroom house on Medway Street by auction. 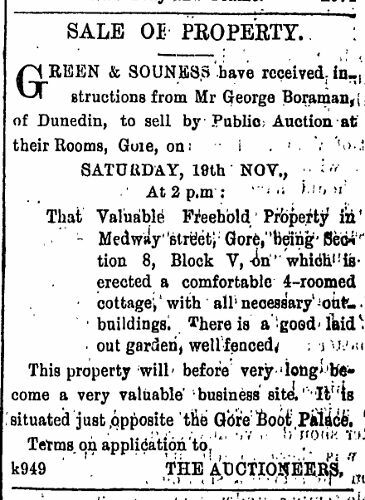 On 16 Feb 1893, the Otago Daily Times (for which George worked as a compositor) reported that George had seen a boarding house on fire in Cargill Street and had alerted the occupants. In Dec 1911, George applied, together with Roughton and Waters, for a patent for an egg preserver. He suffered from dementia in his later years and was admitted into Seacliff hospital for treatment, where he died.